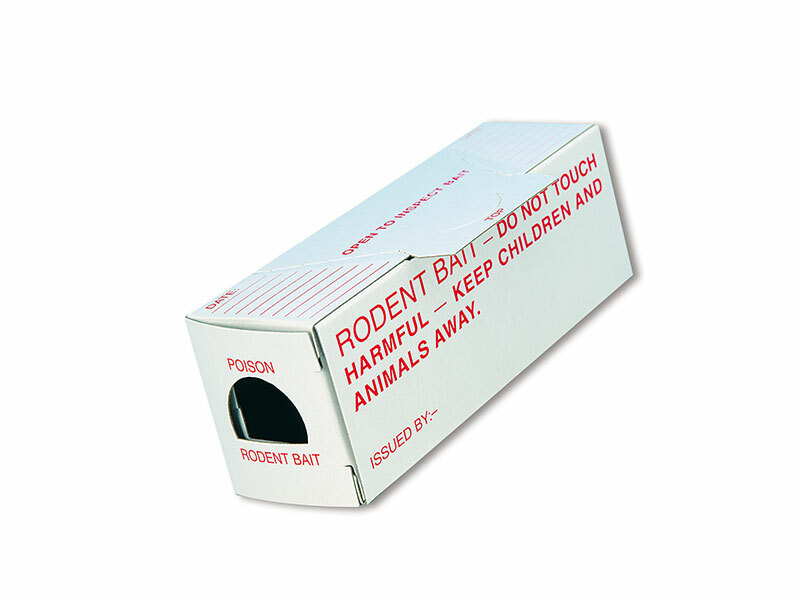 For mouse baits. Heavy duty board, internally and externally laminated for water resistance. Own branding is available, call the office for further information.